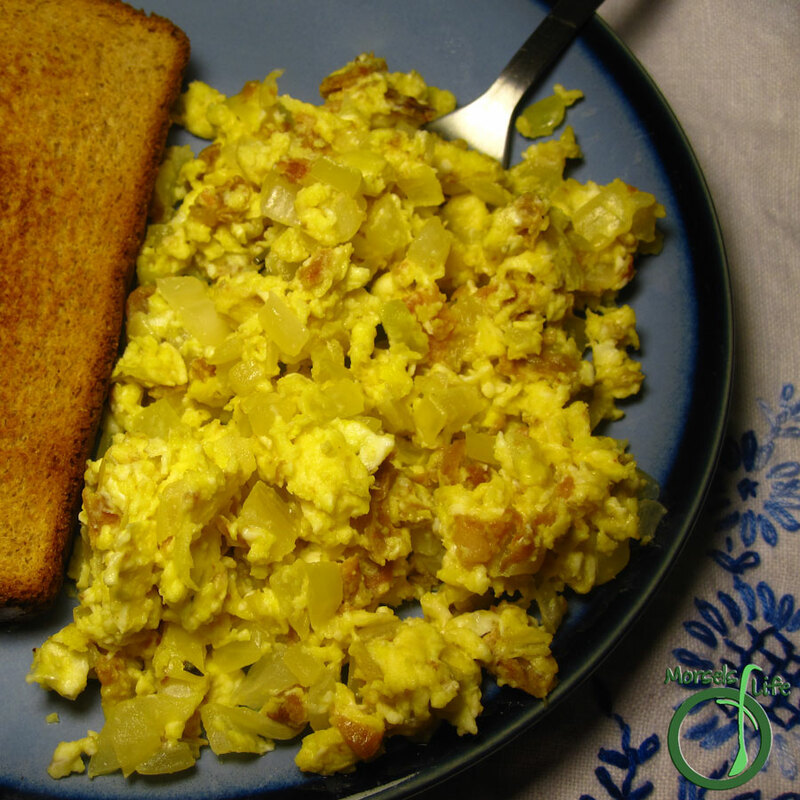 Your basic scrambled eggs flavored with savory chorizo and onions. I had heard about chorizo many times, but I've never managed to get my hands on any - until now. I hadn't gotten a chance to do anything with the chorizo, and then suddenly Saturday breakfast crept up on me. Most days, we just get something quick, like Savory Oatmeal or bread. But Saturdays, we tend to spend a few more minutes - few, like long enough to make some omelets or scrambled eggs with toast. Since Saturday morning was rolling by again, I pounced on the opportunity to spice up the usual scrambled eggs with some chorizo and onions. Give it a try and see what you think! Do you do anything special for weekend breakfasts? Cook chorizo and onion until onion translucent. Add eggs, scrambling until set to desired firmness.